Welcome to our new series, Car of the Week, where we feature BTE customers and fans, and the cars (and trucks) they love to drive and race. 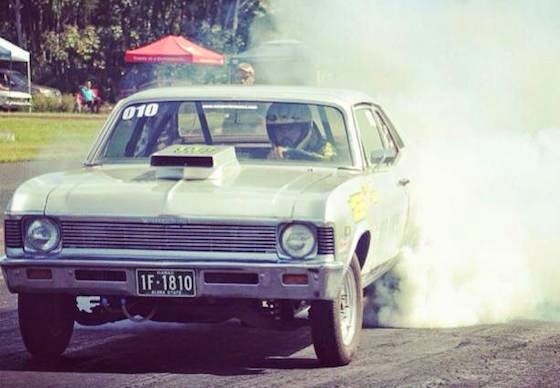 Today’s spotlight is on Anthony "Tony Boy" Andrade of Pahala, Hawaii and his '68 Chevy Nova. My father was a hot rodder and street racer and he used to take me to the drag races from a young age. I loved the sounds, the feel and the excitement. The first place I raced was at the Hilo Drag Strip. In 2012, my first pass was a 13.1 at 101. The block is the only Chevy part on there everything else is aftermarket: 4.030 bore, 3.75 stroke. No BTE parts in the car…yet. The reason I checked out BTE is because some of my fellow racers have BTE transmissions and they take a lickin and keep on tickin! I'd probably get a Charles Carpenter original 55 Chevy Bel Air. Sorry, no pre-race ritual. I'm a happy go lucky guy.